Conventions and conferences often bring together people who don’t know each other, so the initial mixer or social event can start off slow. Voila! Conference magician Jeff Evans’ close-up “mingling” or “strolling” entertainment is perfect for socials and mixers, cocktail hour before your banquets, and hospitality suites. Recently he performed close-up magic for the Council of Hotel and Restaurant Trainers (CHART). Their members came to the Seattle Sheraton for their annual “train the trainers” conference. Read Curt’s review and more online at Google+. Picture this: you’ve walked into a hotel banquet room. You’re from out of town, and nearly everyone else is, too. Representatives from different companies are attending. You see a couple of familiar faces, but most are unknown to you. In another part of the room, a group suddenly bursts into laughter, then applause, turning to each other with looks of amazement and amusement. Like a magnet, people start migrating towards the commotion. 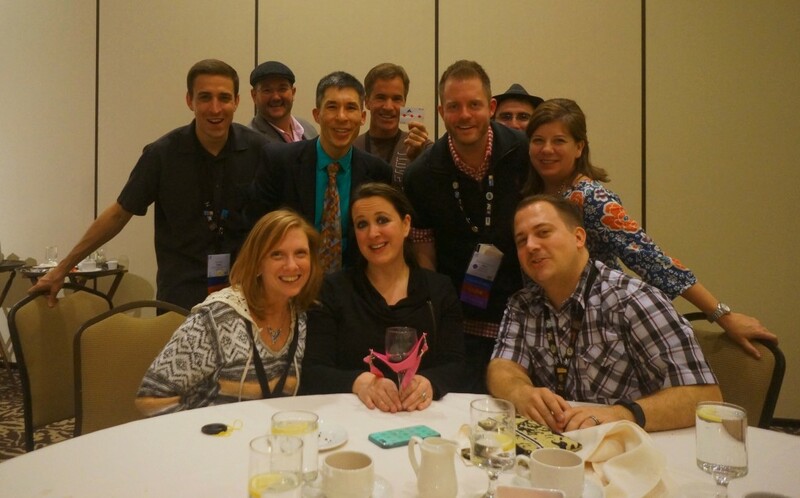 You’ve just experienced the fun and unique difference that conference magician Jeff Evans brings to events. In addition to strolling magic, Jeff also performs a stand-up show ideal for after-dinner entertainment. His blend of clean comedy and interactive magic is featured in over 250 live performances each year throughout the Pacific Northwest and beyond. Call Jeff Evans toll-free (877) 412-5064 or send e-mail to jeff[at]amazementproductions.com to learn more about adding magic to your convention or conference. This entry was posted in Uncategorized and tagged CHART, conference magician, convention magician, Seattle conference, Seattle convention, Seattle Sheraton. Bookmark the permalink.